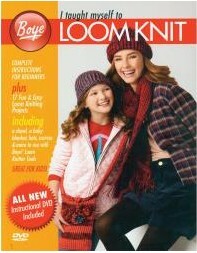 Learn how to knit with a loom! This book has basic instructions and an instructional DVD to get you going. Once you are comfortable with the technique there are fourteen projects to help develop your skills. Make hats, a handbag, bottle cozy, baby blanket and more! Paperback, 44 pages.